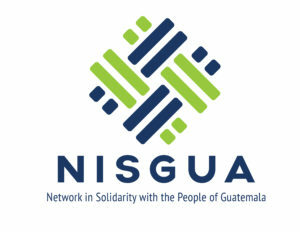 In October 2013, NISGUA and the Association for Justice and Reconciliation (AJR) traveled the greater United States to share a story of determination and resilience: a 13-year journey that finally brought former dictator Efraín Ríos Montt to trial for genocide in Guatemala. 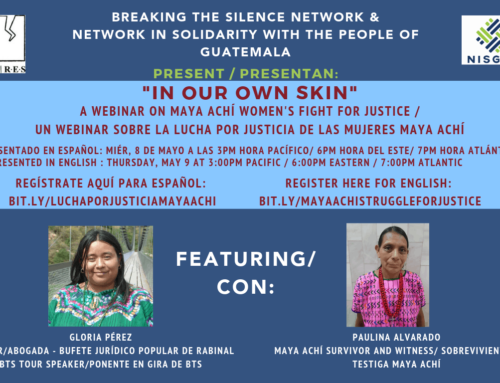 Through international human rights accompaniment, NISGUA has partnered with the AJR since the beginning and has previously brought members of their organization to speak in the US about their monumental work for justice in Guatemala. 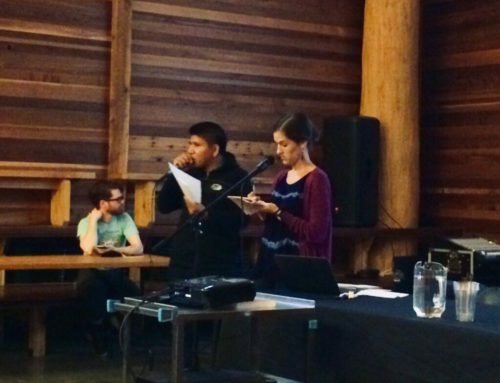 During this year’s tour, we were honored to spread word about the AJR’s incredible work as plaintiffs in the historic genocide trial and to connect them to a broad US audience. 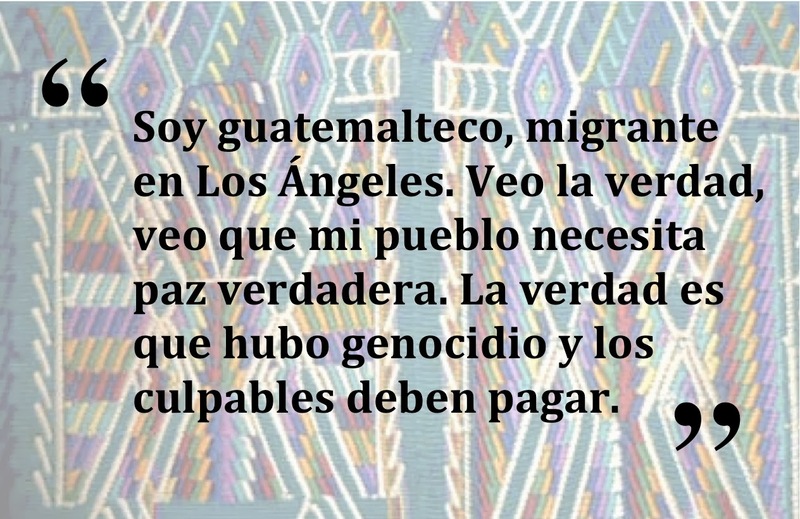 support for the AJR and demanded justice for genocide in Guatemala. of the city of San Francisco. .
Strategic meetings in Washington, D.C. with Senator Tom Udall, Representatives Frank R. Wolf, Donna Edwards, Raúl Grijalva and Special Ambassador on War Crimes Stephen Rapp. 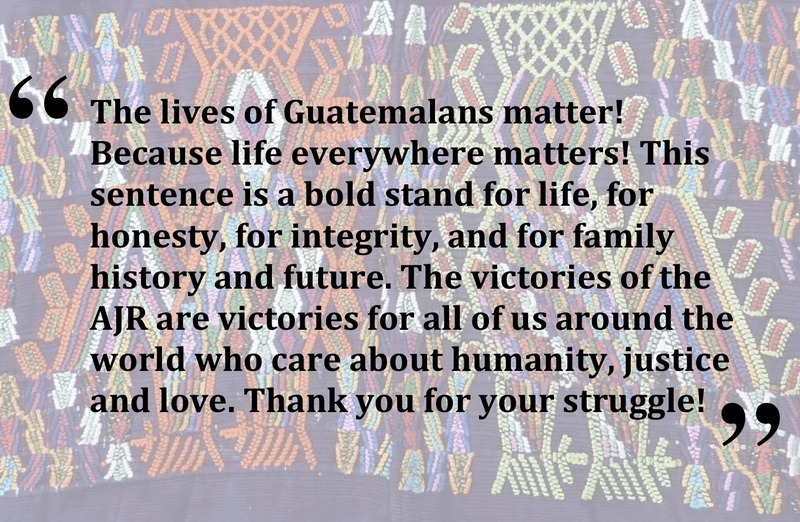 These meetings updated members of the US government about the denial of justice that has taken place since the genocide trial’s annulment and informed them about the AJR’s subsequent complaint against the Guatemalan state in the Inter-American Commission on Human Rights. 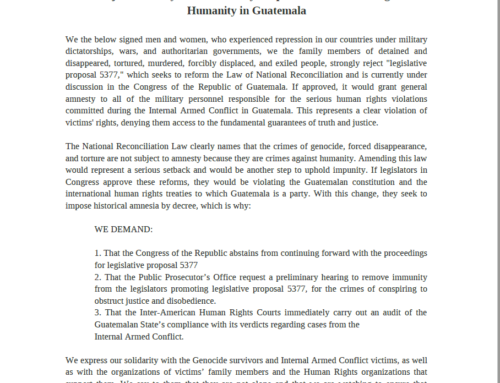 In addition, the meetings garnered support for the AJR and sparked interest in writing a congressional letter on the issue of the genocide case, similar to the 2007 letter, initiated by Representative Grivalva, which called for Ríos Montt’s arrest. Cross-cultural capacity building at the Alliance for Global Justice’s Tear Down the Walls national conference in Tucson, AZ. 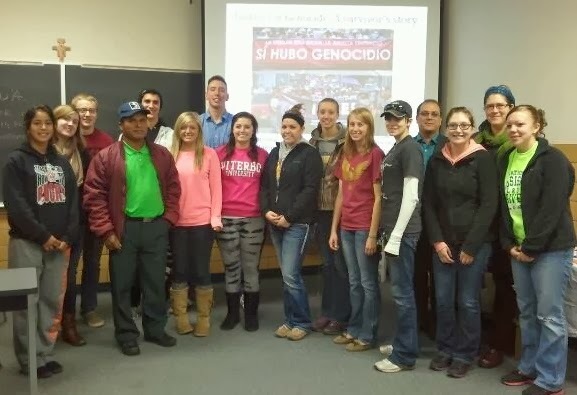 Anselmo presented the workshop, “The Guatemalan Genocide Case: Tearing Down the Walls of Impunity,” and also participated in workshops on immigration, environmental justice, and the drug war in the Americas. Connections with Guatemalan Americans throughout the US, particularly in California. 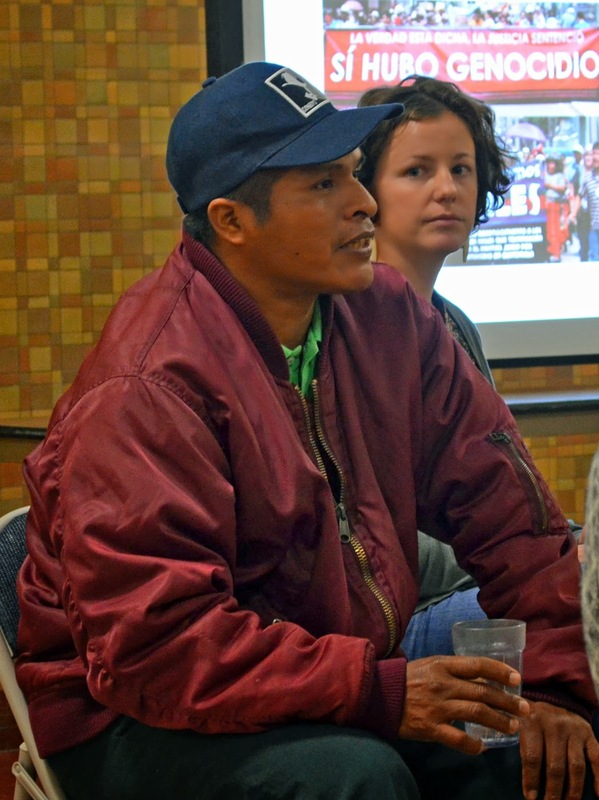 In Los Angeles, local organizations including Mujeres Abriendo Caminos, Centro Colectivo de Centro America in Los Angeles, the Maya Center, AGUA, and MayaVision came out to meet and support Anselmo. 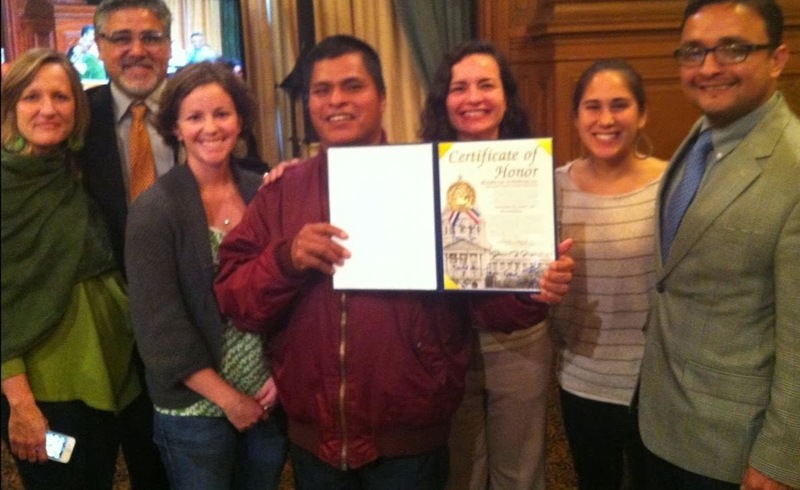 Formal public recognition from the Guatemalan Education and Action Project (GEAP) and the San Francisco Board of Supervisors. While in Los Angeles, GEAP presented the AJR with a certificate in recognition of their work and its special significance to the solidarity communities living in the United States. In San Francisco, City Supervisor David Campos gave a moving speech, honoring the AJR on behalf of the city of San Francisco. Anselmo returned to Guatemala with these two beautiful forms of recognition to share with the entire AJR board of directors and members. School presentations at American University, Pomona College, California State University, Mission College, Oberlin College, Loyola University – Chicago, Viterbo University, University of Wisconsin – La Crosse, University of Wyoming, Regis University and the City College of San Francisco. 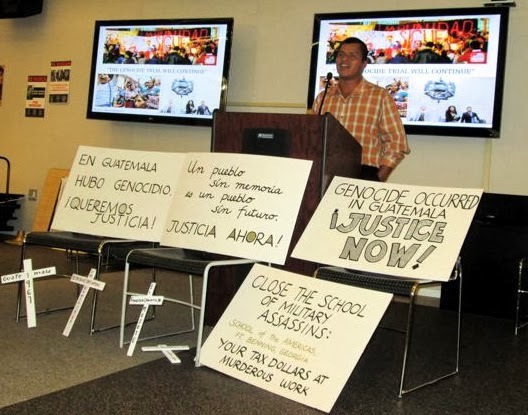 All university presentations were widely attended by students and community members, some of whom had never heard about the Guatemalan genocide. Anselmo shared his story and left a lasting impact in the classrooms and lecture halls. 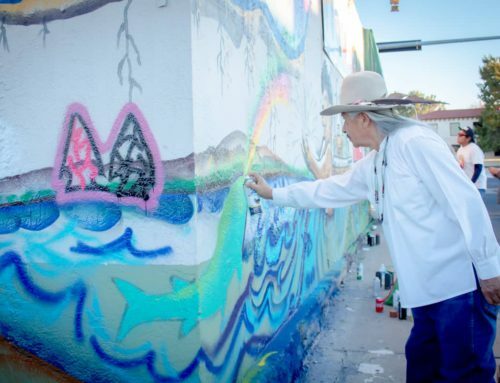 Media coverage, including articles and interviews with La Opinión, Laramie Boomerang, Upside Down World and radio interviews with WORT – Madison, NPR – Laramie, KUVO’s “La Nueva Voz,” and KPFA’s “La Raza Chronicles”. These media engagements brought the AJR’s story that much further by sharing it with those who might not have been able to attended events. 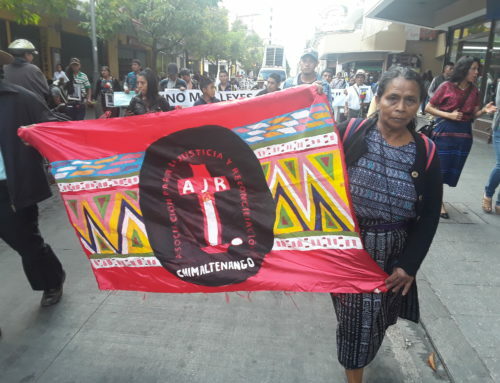 Broad base support and action: our 2013 fall tour action campaign garnered over 700 petition signatures saying NO to amnesty for Ríos Montt as well as several hundred written personal messages to the AJR in support of the genocide sentence. We presented the bilingual postcards to the AJR board of directors and they were deeply moved by the powerful messages from supporters across the US. We plan to share the messages with all AJR members later this Spring. Our fall tour has concluded but you can still show your support for the AJR! Help us reach 1000 signatures on our petition by the end of January! Sign on and write a personal message by participating in our online campaign.